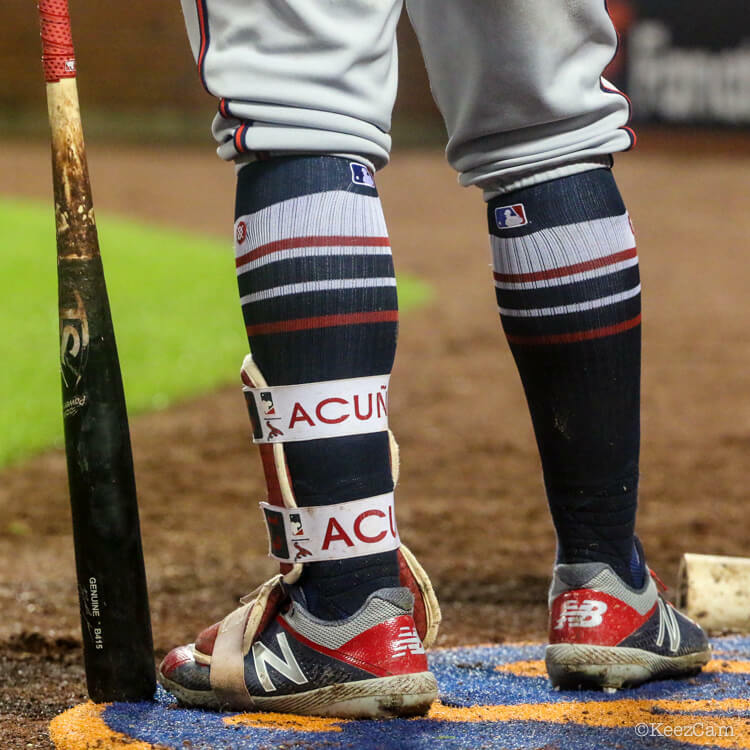 The hiked up knee-highs with the striped socks” look is exquisite swag from Acuña. Available at the link. These should be team issue for this generation’s Atlanta Braves. Categories: Ronald Acuña, Gear, Outfield, Atlanta Braves, Stirrups/Socks.